2. The mission is led by His Excellency Dioncounda Traore, Former President of the Transitional Government of the Republic of Mali. The mission is comprised of a total of 34 Short Term observers drawn from 23 African countries and representing the African Union Permanent Representatives Committee (PRC), the Pan-African Parliament (PAP), Election Management Bodies and Civil Society Organisations. 3. The AUEOM’s assessment of the elections was based on the relevant African Union instruments, namely, the 2012 African Charter on Democracy, Elections and Governance; the 2002 OAU/AU Declaration on Principles Governing Democratic Elections in Africa, the 2002 Guidelines for AU Electoral Observation and Monitoring Missions as well the legal framework for elections in Rwanda and international instruments for democratic elections. 4. This statement presents the preliminary findings and conclusions of the mission covering the immediate pre-election period and the voting and counting process on 3-4 August 2017. The African Union will continue to observe the post electoral developments and will release a final report within two months of the end of the election. 5. The purpose of the AUEOM was to make an independent, impartial and objective assessment of the 4 August 2017 Presidential Elections in Rwanda. 6. From 29 July to 31 July 2017, the AU observers underwent a three day training and briefing on the AU’s observation methodology and the political context of the 2017 elections. On 1 August 2017, the observers were deployed to cover all the 5 provinces and 30 districts of the country. 7. In the areas where they were deployed, observers interacted and consulted with key stakeholders, including representatives of the National Electoral Commission, the police, civil society and political parties in order to assess the level of preparedness of the Electoral Management Body and the conduct of the electoral process in those areas. 9. On Election Day, each of the mission teams of observers visited an average of 10 stations in rural and urban areas. The observers used checklists to collect information on the electoral process and transmitted the information to the Mission’s core team based in Kigali. 10. The 3-4 August 2017 Presidential election was the third since the return to peace following the Rwandan genocide of 1994. The first and second Presidential elections were held in 2003 and 2010. The mission noted that six candidates filed applications to contest the election but only three succeeded in being nominated to stand as candidates in the election. 11. The election came after the 17-18 December 2015 referendum which lead to constitutional changes that made it possible for the incumbent president Paul Kagame to run for a new mandate, as well as shortening presidential terms of office from seven to five years, although the latter change would not come into effect until 2024. These constitutional changes received overwhelming support from Rwandan citizens and were approved by around 98% of voters. 12. The AUEOM noted that the political environment in which the electoral process took place was generally calm and peaceful. 15. The institution charged with the conduct of elections in Rwanda is the National Electoral Commission (NEC). 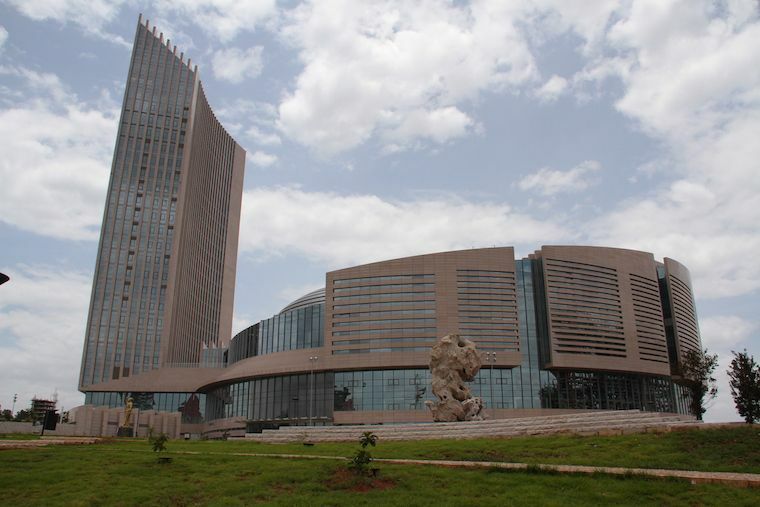 The NEC was established in 2000 and operates within the framework of Law N° 39/2000 of November 28, 2000 as amended. 16. The mission noted that the NEC produced an election calendar for the 2017 Presidential election and to a large degree was able to adhere by this calendar. Throughout its deployment, the mission observed that the NEC was adequately prepared for the elections. In its briefing to observers, the NEC informed observer groups that it recruited 71,750 volunteers for the election of which 45% were women. The use of volunteers as election staff and the production of some election materials locally such as ballot papers greatly reduced the cost of the election from US$3 per voter in the previous election to US$1 per voter in 2017. 17. The AUEOM was pleased to note the arrangements made by the National Electoral Commission that enable Rwandans in the Diaspora to exercise their right to vote on 3 August 2017. 18. The mission was informed that the voters’ list for the 2017 elections was extracted from the national identity database or civil registry, and was updated only. Updating the voters’ list for the Presidential elections started in February 2017 and the final voters list was released on 19 July 2017. At the end of the process, there were 6,852,714 voters on the final list, of whom 54% were women and 45 % were youth. 19. The mission was concerned, however, with provisions in the regulations which allowed some voters such as those on official duty on Election Day to vote where they are not registered. Whilst these measures extend the right to vote to as many voters as possible, they complicated the management of the counting process particularly reconciliation of ballots. One of the main responsibilities of the NEC as laid out in Article 5 of Law No 31/2005 is to prepare and teach civic education on elections. In line with this provision, the NEC carried out civic and voter education using the print and electronic media, billboards, posters and pamphlets. In addition, it trained local leaders to deliver voter education, particularly during community meetings. The mission noted that these efforts combined helped to ensure voters were well informed and able to participate in the process in large numbers. On Election Day on 4 August 2017, the mission observers reported very few cases of spoiled and invalid ballots. 20. Nomination of candidates took place from 12 June 2017 – 7 July 2017. During this period, prospective candidates had to provide documentation that was legally required in order for one to stand as a candidate. 23. However, the mission noted that the campaigning was dominated by the candidate from the RPF who was much more visible than other candidates. The widely different levels of coverage and access to the voters created an unlevel playing field which potentially skewed public attention in favour of the RPF candidate. 24. Rwanda is noted for its high levels of women representation in the legislature. There are also provisions for the participation of women in other institutions of governance such as the National Electoral Commission, wherein the law states that of the 7 electoral commissioners at least 30% should be female. Currently 4 out of the 7 electoral commissioners are women. Women also constitute the highest number of registered voters for the 2017 elections with about 54%. According to the NEC, 46% of the polling station volunteers were women. The AUEOM commends the high participation of women in the electoral process. 25. Rwanda has a diverse media landscape with various print, electronic and web-based media houses representing both the private and public sector which covered the election extensively. Article 30 of the NEC’s instructions for the Presidential election provide for the equal access to the public media for all candidates. 26. Exchanges and interactions on social media also enlivened the electoral campaign. 27. The mission noted with satisfaction that provisions in the presidential instructions issued by the NEC which aimed to regulate and control social media content of candidates were removed after they were judged to be in violation of the freedom of expression. 28. On Election Day on 4 August, African Union observers visited a total of 195 polling stations or rooms located in 30 districts of the 5 provinces of the country. 55% of polling rooms visited were located in urban areas, while around 45% were in rural areas. 29. The general atmosphere on Election Day was calm and peaceful. The Mission commends the orderly manner with which the Rwandan people went to vote. 30. The AUEOM teams observed the opening of the poll at 15 polling rooms, all of which were located in urban areas. All polling rooms visited opened on time. Election materials were available in sufficient quantity in all polling rooms visited throughout the day. Opening procedures stipulated by the law were followed. 31. The AUEOM observed the voting process in 195 polling rooms. The mission noted that the voting process went smoothly, with no incident or interruption. 33. The mission noted the presence of armed security personnel at all voting centres visited, and assessed their conduct and presence as professional and discreet. 34. The vast majority of polling rooms were accessible to persons with disabilities. The AUEOM commends the use of braille ballot papers for visually impaired voters. Assistance was provided to disabled and aged voters by electoral officials or by a person of their choice, whenever required. 35. No campaign material or activity was observed by African Union observers within the perimeters of the polling centres and polling rooms visited, as required by the law. 36. The Mission noted that ballot papers were issued without any serial number or official marks which would enable polling officials to verify its authenticity. Despite this, AU observers witnessed no irregularities in all the polling rooms visited. 38. The AUEOM noted the presence of party or candidates agents in most polling stations visited but the vast majority of these were representing the incumbent candidate Paul Kagame from the Rwanda Patriot Front (RPF) party. Only in few cases that AU observer teams noted the presence of agents representing Frank Habineza from the Democratic Green Party but to a much lesser extent. No agents for Philippe Mpayimana were present in all the polling rooms visited. The lack of sufficient representation in the polling rooms may negatively impact on their level of oversight required to ensure transparent and credible management of the voting process. 39. AU observers reported that they were able to perform their duties without interference or restrictions, although, in some cases, some presiding officers refused to provide necessary information to observers when requested, which hindered the effectiveness of the observers’ work. 40. The AUEOM assessed the competence and conduct of polling staff during voting process as good or very good. 41. AU observer teams observed the closing and counting process in 15 polling rooms and at the same polling rooms where they observed the opening of the poll. All the polling rooms visited closed on time at 15:00hrs. 42. While the competence of polling staff during the opening and the voting process was assessed as good or very good by AU observers, the AUEOM noted that some polling staff did not follow the prescribed procedures during closing and counting process. The observers noted that, in some cases, polling officials did not undertake reconciliation of ballots or fill the counting forms before counting, although such procedure is required by the law. In some cases, discrepancies were found during the counting process but were not corrected by polling officials. 43. The Mission noted that results were announced and displayed at the polling rooms where counting was observed, which contributed to the transparency of the process. No cases of complaints and interference were reported by AU observer teams. 44. In all polling rooms witnessed by AU observers during the closing and counting process, the average voter turnout was 95%. 45. The mission noted that the tabulation and announcement of results was concluded in a speedy manner and that according to provisional results released by the electoral commission, the incumbent Paul Kagame of the RPF won the election with an overwhelming majority. 46. The mission further noted and commends the acceptance of the election result by the two losing candidates. 47. The AUEOM concludes that the voting process was conducted in a peaceful, orderly and transparent manner. The mission commends the Rwandan people for turning out in their large numbers which demonstrates their commitment to their country’s democratic processes. 48. The AUEOM will issue its final report on the electoral process within two months of the end of the elections. The report will provide a more comprehensive assessment of the process, including the immediate post-election environment. The mission makes the following recommendations for consideration by the Rwandan stakeholders for the improvement of future elections in Rwanda. 49.	Review the provisions that allow some voters including those on official duty to vote where they are not registered on Election Day in order to avoid complications in managing the counting process. For example having an advance voting day for such voters. 52. Improve the training of polling staff on rights and responsibilities of international observers to ensure that they fully understand, respect and facilitate their work. 53. Encourage more women to stand for the highest office in the land. 54. Consider deployment of sufficient representatives to polling stations in order to ensure transparent and credible management of the voting processes. 55. Consider amending the legislation to provide campaign funding for candidates in order to ensure a level playing field. 56. Consider the introduction of legislation that will regulate the campaign spending of parties and candidates including provisions for disclosure of sources of campaign funding.